We would like to thank you in advance for your interest and welcome you to our Website. 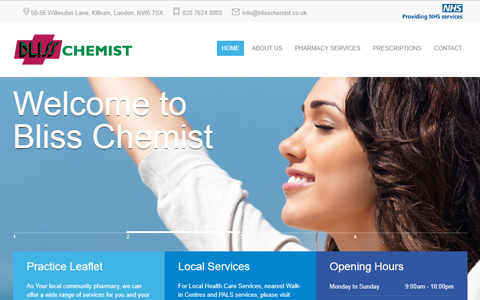 We are an independently owned pharmacy and our aim has always been to be progressive, forward thinking and provide innovative services to our patients and customers. 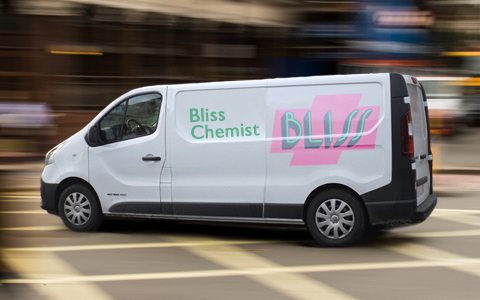 Bliss Chemist is conveniently located at 50-56 Willesden Lane, Kilburn, North West London, NW6 7SX. We are open nearly EVERY DAY OF THE YEAR from 9:00am to 10:00pm. We offer all Pharmaceutical and NHS services, from Dispensing of both NHS and Private Prescriptions to Repeat Prescription Collection and Delivery Service, Smoking Cessation, Health Advice and Self-care, Medicine Use Reviews (MURs or MEDI CHECKS) and more. With friendly, helpful and approachable staff, we are always more than happy to help. When we dispense your medication we provide you with advice on how best to take it and/or answer any questions you may have.